Fig. 1. 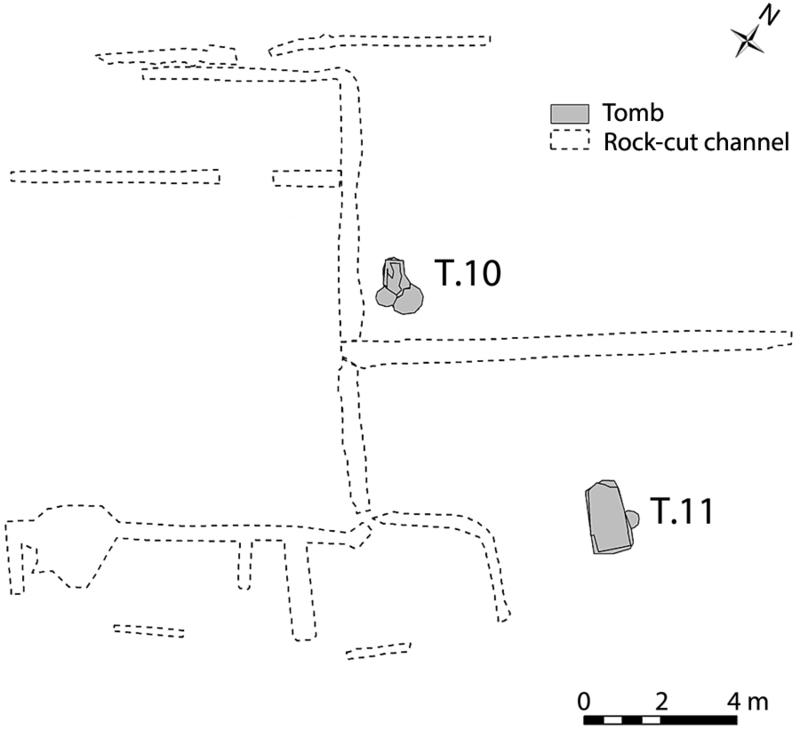 Plan of Area A at Gabii, showing the location of Tombs 10 and 11. Fig. 2. 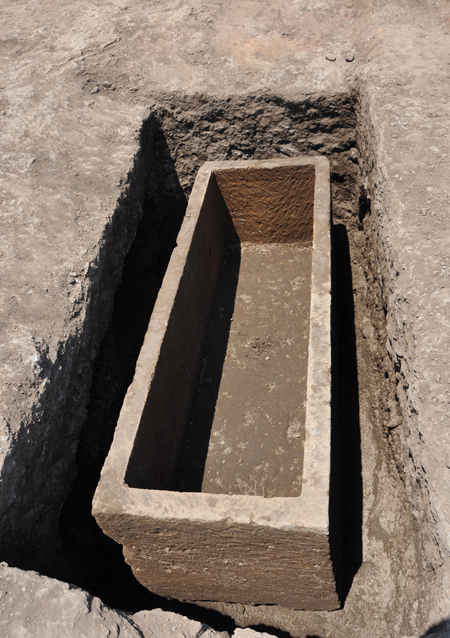 Gabii, Area D, Tomb 25, view of tuff sarcophagus after removal of the human remains found inside it and of the fill of the tomb around it, from the south. Fig. 3. 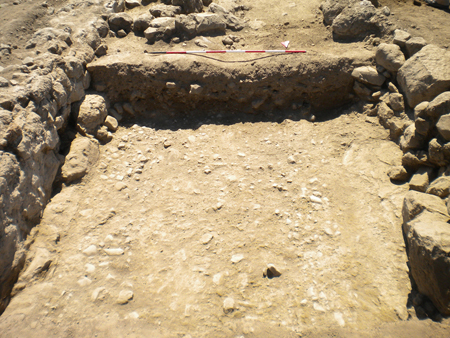 Gabii, Area A, Road 3, detail of one of the road surfaces (via glareata), view from the north. Fig. 4. Gabii, Area A, view of an assay pit dug in the bedrock south of the large quarry, from the west. 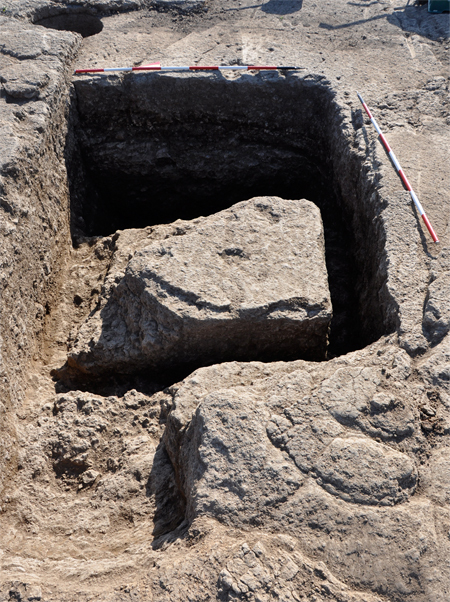 Note the almost completely carved block, which was left on the bottom of the pit after being damaged.